The Devil kimono is crafted with 100% high quality cotton Honey Comb mesh. Offering incredible durability whilst remaining ultra light weight. Strategically placed reinforced seems ensure the strength of the kimono as well as its longevity. This top-of-the-range kimono sports a beautiful, comfortable elastane inner lining with a stylized design depicting a demon's head. 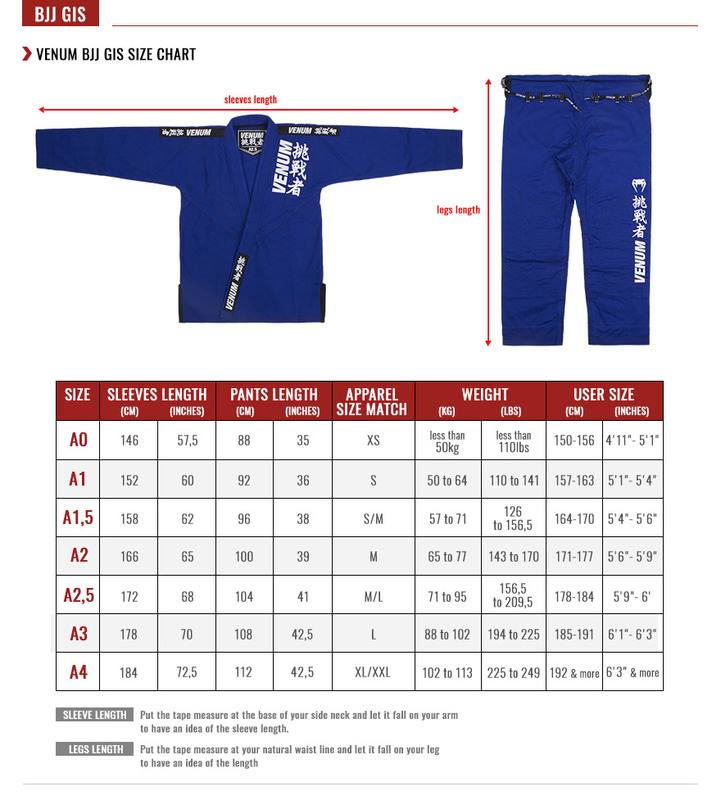 With durability and strength at its heart, this kimono was been designed to withstand opponents with the toughest grips, as well as intense training and competition.Featuring double back, torso and cuff reinforcements, this Brazilian Jiu-Jitsu kimono will help you deal with your opponents grips, and create counter attacks thanks to the lightness and strength of its material. Finally, the Ripstop pants are reinforced at the knees, lower legs and crotch, and will offer incredible mobility without fear of tearing. Materials: 420 Gms Cotton Jacket with Honey Comb Mesh / Ripstop 280 Gms Pants. Ultra-strong collar: for maximum durability. 87% elastane / 13% polyester inner lining: for optimal moisture management and faster drying. Reinforcement tape inside the jacket for more resistance. Pearl jacket with double reinforcements on the back, chest, knees and cuffs. Ripstop pants with reinforced seams at the knees, crotch and ankles. Robust fastening cord for an efficient tightening. Pre-shrunk kimono· Venum logo on the arms and upper legs. Woven patches· Sold with an ultra lightweight cotton backpack in the colors of the Devil logo. With a smart closure that will allow you to transport kimono easily alongside your other training gear.